No need to give up hope, though, time travel lovers, as I don't know where to start on what's wrong with this, and I hope that the last part of the quote is BBC interpretation, rather than Dr Scheck's thought on the matter. First, I'm not sure that Dr Scheck's assertion that this proves that 'there's a well-defined direction in time and we will always travel from past to present' is even true. This seems a huge leap to make from this discovery. However, more to the point, the practical implications for time travel rely on a total misunderstanding of the nature of the beast. Firstly, travel into the past and future are not symmetrical. It's much easier to get into the future than the past. Hang on a second. We just moved into the future. Okay, that's not very impressive, but with a touch of applied special relativity, anyone moving quickly through space can travel into the future of the place he or she is moving quickly with respect to. The Voyager 1 probe has moved around 1.1 seconds into the future. It works, we know it works - there's no questioning it. 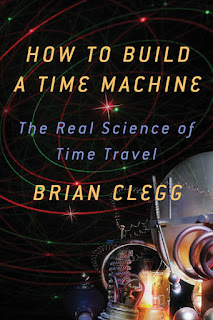 There is time travel - and it's a bizarre assumption that it has to be into the past. When it comes to travelling into the past, it certainly is impractical for the foreseeable future, apart from small scale effects such as those experienced by GPS satellites (which effectively drift a tiny amount into our future, so on returning to Earth, if they ever did, would move into their past). But even more dramatic backward shifts are not impossible, whether or not what Dr Scheck asserts is true. 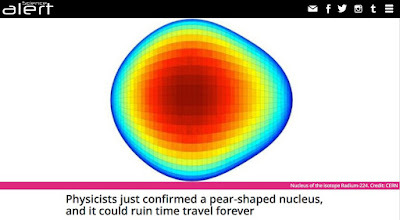 This is because the sensible approaches to travel into the past, making use of general relativity, don't involve travelling backwards in time per se - they involve finding or making somewhere that time runs slowly (easily done thanks to special relativity) and finding a mechanism to get into that place (that's the hard bit - but as the GPS example shows, you don't need time to 'run backwards' to do so). Sadly, then, this is a case of looking for a dramatic media hook for a science story and forcing one to fit, even if it means distorting the science far away from its real, and still very interesting, implications and possibilities. 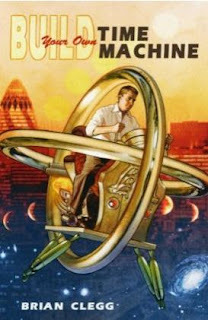 There's far more on time machines and time travel in my book Build Your Own Time Machine (UK)/How to Build a Time Machine (US).